Noun. A strategy to achieve something. Verb. 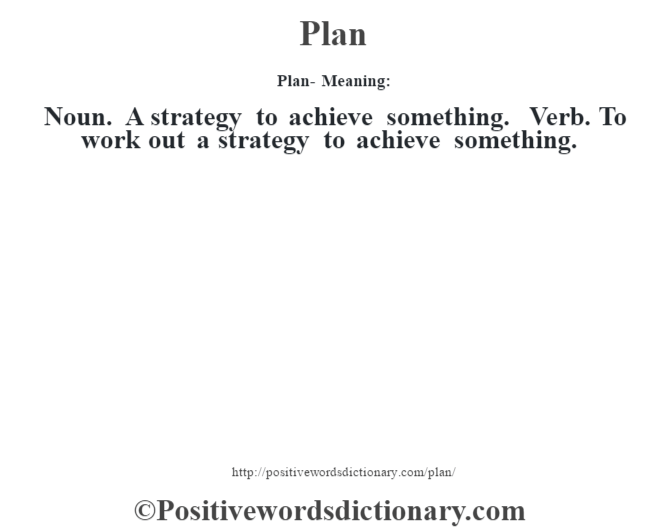 To work out a strategy to achieve something.